If you ever plan to have a visit or a few days in Brighton you will be spoilt for choice with all the independent shops the city has to offer. 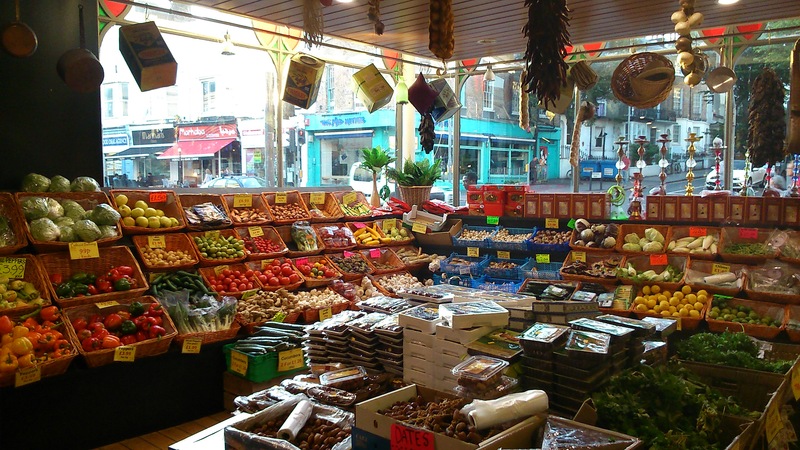 Brighton is known for its electic mix of different styles and tastes, and one of the biggest independent supermarkets is Taj. 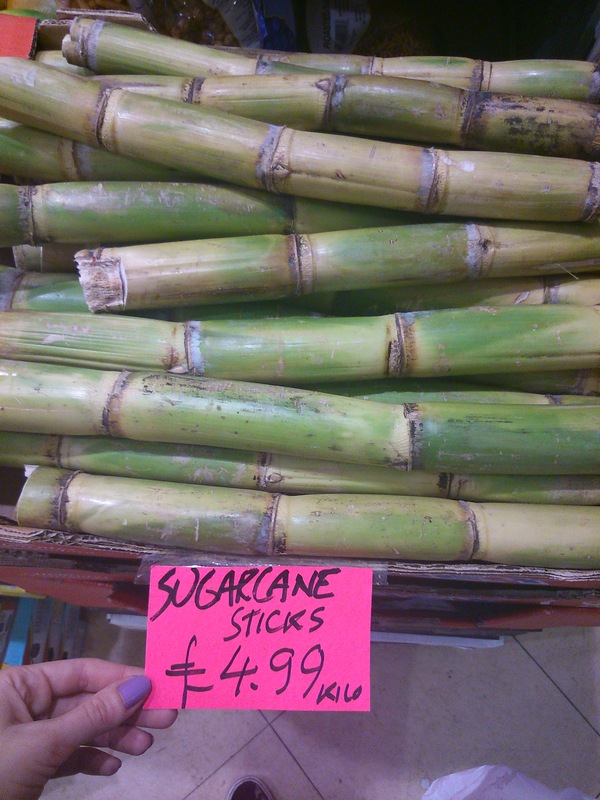 When pay day comes around, I love to pop by and pick up a few new items or treats here. Step inside Taj and you’ll see an array of fresh fruits & veggies, from your cupboard essentials to the exotic & new. Part of the fun for me is hunting around & picking up, looking at and smelling all these exotic fruits and veggies, things I’ve never seen before and can’t get from a mainstream supermarket. 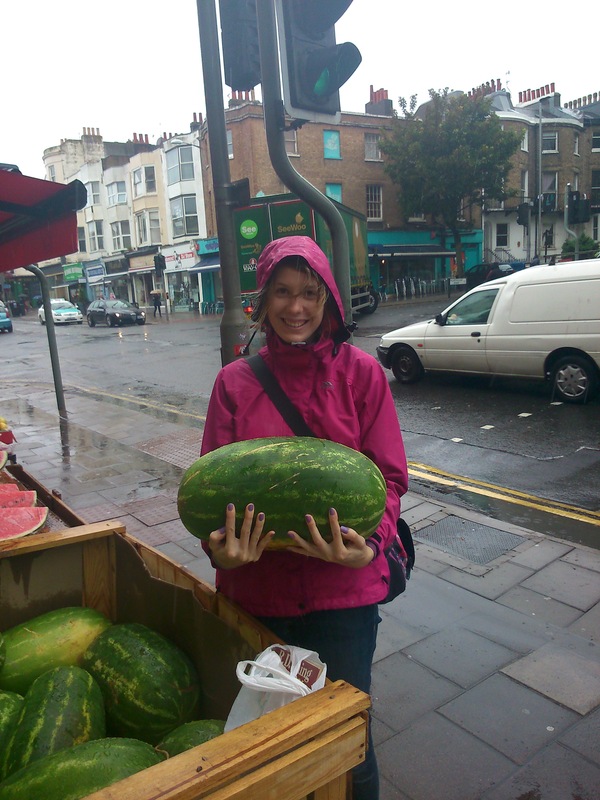 Of course, there’s lots I am familiar with, like this humungous watermelon I couldn’t resist picking up on a very rainy day! Although Taj is not a veggie only supermarket, unlike my other favourite, Infinity Foods, they do stock a good selection of vegan items. You can buy your Redwoods range of mock meats, various brands of vegan cheeses and lots of flavoured tofus and seitzans. My favourite thing to do here is let my fingertips trace along the isles, picking up all the different spices, sugars, sweets, even different types of packaging – I am a sucker for cute packaging! Stand by Me Soya Milk- I have tonnes of milk at home, I just could not resist this cute carton! Tempeh – Love a bit of tempeh as an alternative to tofu!! 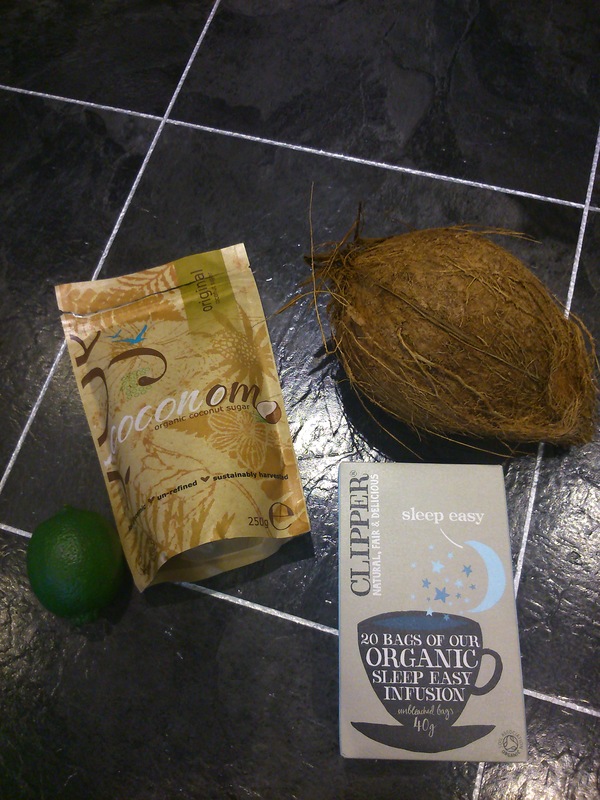 Clipper Sleep Easy Tea – in case of stress!! As you can see, it’s not just the essentials you can get at Taj, there’s plenty of things to inspire you to be a little more creative in the kitchen. If you are ever near this part of the world, pop in and see what new things you may be intrigued by or curious to create! Is taj cheaper than infinity foods? 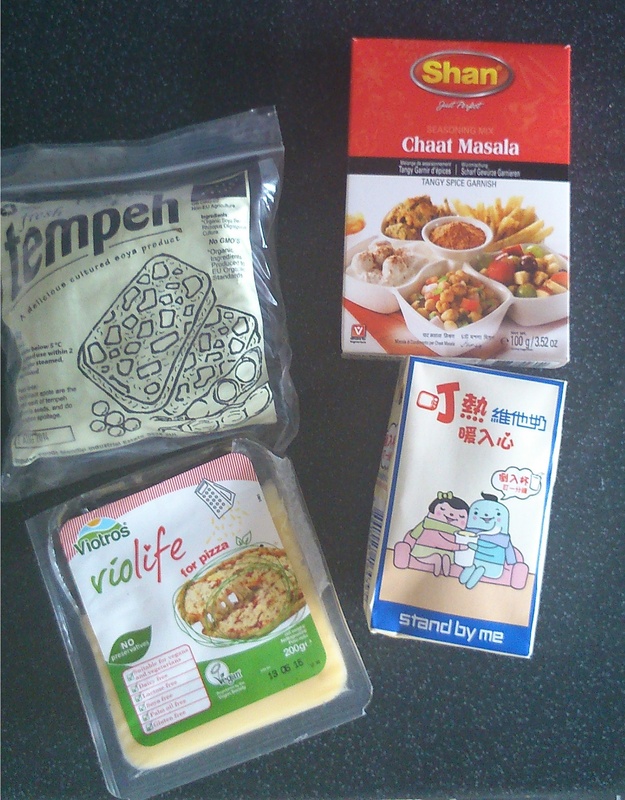 I didn’t realise they sold things like coconut sugar, tempeh and violife cheese!!! ← Food Review- Amy’s Breakfast Sandwich & Tesco Free From Vanilla Ice Cream.